Golden Boy Promotions CEO Oscar De La Hoya, who promotes WBC, WBA middleweight champion Canelo Alvarez, expects his boxer to come away with a very impressive victory on May 4th at T-Mobile Arena in Las Vegas, Nevada. Canelo will collide with IBF champion Daniel Jacobs in a high stakes unification clash. Jacobs is one of the biggest and most skilled opponents that Canelo has ever faced. De La Hoya, a former six division world champion, would give his boxer what he believes is the perfect advice on how to topple Jacobs. “I would tell him to study Chavez, you know? Meaning he would have to go in there, crouch down just a little bit, moving your head, and just keep treading, you know, keep going in and throw combinations. Because if you think you’re gonna outbox Daniel Jacobs it’s gonna be very difficult. It’s easier to go inside and work the body. The body is the one - you have to break him down and hopefully, he’ll fall," De La Hoya told Fight Hub. Should Canelo beat Jacobs, he will likely face Gennady Golovkin in a trilogy fight in the fall. They fought to a controversial draw in 2017, with Canelo winning a close majority decision in the rematch. De La Hoya says Canelo is even willing to face WBO 175-pound champion Sergey Kovalev or even the retired Andre Ward. Canelo had mentioned in a recent interview that he'd entertain a future fight with Kovalev at light heavyweight. “Absolutely [he will face Golovkin]. And there will be a third fight under my conditions, under Canelo’s conditions. There will be a third fight, absolutely. 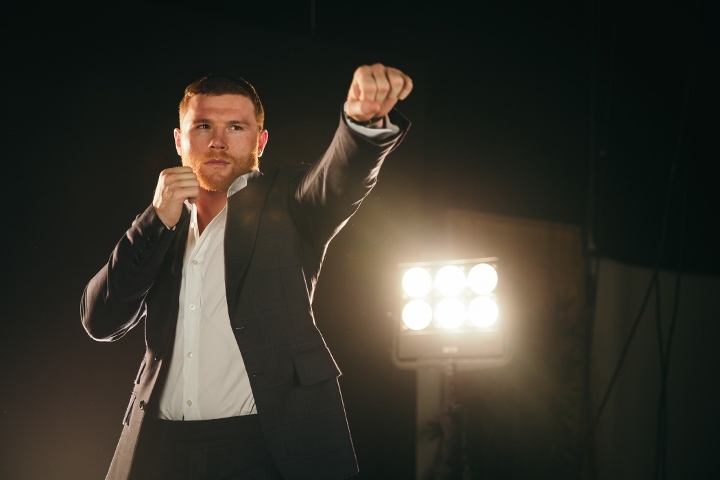 Canelo’s in the drivers seat, he can fight anybody from 175 all the way down to 160...including Andre Ward, if he wants to call him out, including Kovalev, including unifying the titles,” De La Hoya said. You might be right.. Kov might accept Canelos challenge when hes 50.